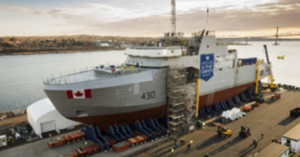 Canada lifted the mandatory speed restriction for vessels in the Gulf of St. Lawrence to make sure that ships can operate safely during winter. Transport Canada is not aware of any North Atlantic right whale deaths from vessel strikes this year and will ask vessels to voluntarily slow down if a whale is spotted in or near the shipping lanes. On April 28, 2018, Canada applied a speed restriction for vessels 20 metres or more to a maximum of 10 knots in the western Gulf of St. Lawrence. Ships were allowed to travel at normal speeds in parts of two shipping lanes north and south of Anticosti Island if there were no whales in the area. 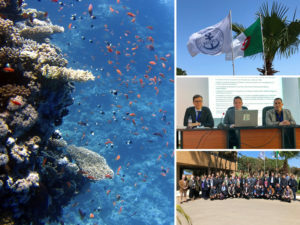 GET THE SAFETY4SEA IN YOUR INBOX! This year, Canada tested new drone technology for marine mammal surveillance and protection. In August 2018, experts from Transport Canada, Fisheries and Oceans Canada, Iqaluit-based Arctic UAV and the University of Alaska Fairbanks carried out a three-week drone mission out of Gaspé, Quebec. The results will assist the country find new ways to locate North Atlantic right whales and protect them from ships and fishing gear. Based on the $1.5 billion Oceans Protection Plan, Canada is protecting the recovery of endangered whale populations across Canada through a five-year $167.4 million Whales Initiative. This initiative will support the recovery of the Southern Resident Killer Whale, the North Atlantic right whale, and the St. Lawrence Estuary beluga. Finally, on October 31, 2018, Canada announced $61.5 million more to implement new measures, aiming to strengthen protection for the Southern Resident Killer Whales. Do you think the entire shipping industry will be completely digitalized by 2025?